Sold per metre off the reel, free termination with MCRU gold plated zplugs. Simply add the required amount of cable for a stereo pair to your basket and we will provide a stereo pair terminated using audio note 6% silver solder. Example for a 3 metre stereo pair add qty 6 to your basket. If you would like the cable terminating with a different connector just let us know. Alpha S-14 is a 15awg High End speaker cable using the highest quality OCC copper conductors available in the market. 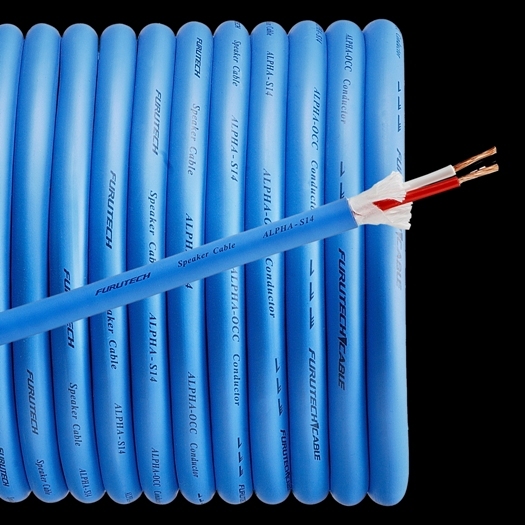 The sound characteristics of this cable are similar to that of the Alpha S-25 cable. It is airy, fast paced and highly cost-effective.